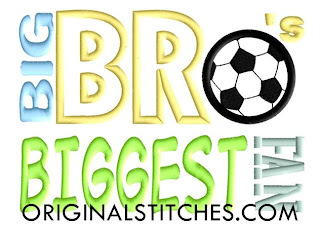 Original Stitches: How to draw a soccer ball. 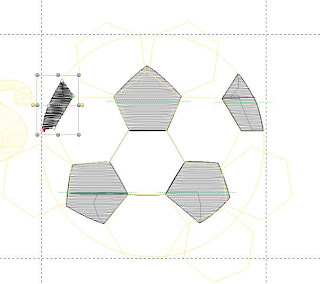 Well, if you are like me and like to draw all of your designs from scratch, that leaves a little conundrum when it comes to widely known objects. Up on my plate was a soccer ball. 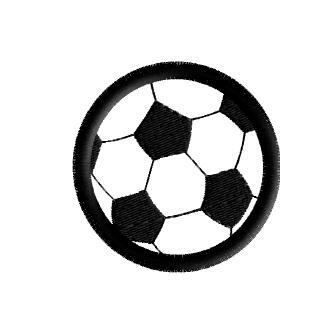 Soccer balls have a pentagon and hexagon pattern. 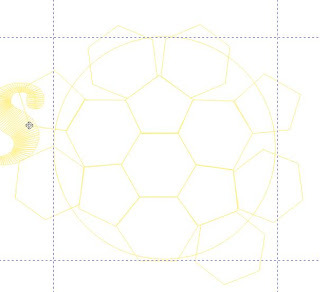 You'll notice these aren't perfect pentagons and hexagons. They are going on a round surface so they needed a little perspective. That came with a lot of tweaking. But it was finally time to start filling in the ball. Again, lines are curved for perspective. Until you have the final ball! Whew! 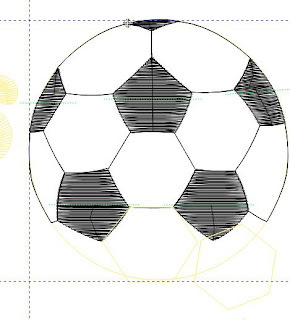 What a lot of work for a little soccer ball. And this little ball is now part of the larger file. Now that the soccer ball has been mastered, making the whole thing applique would be really cute! 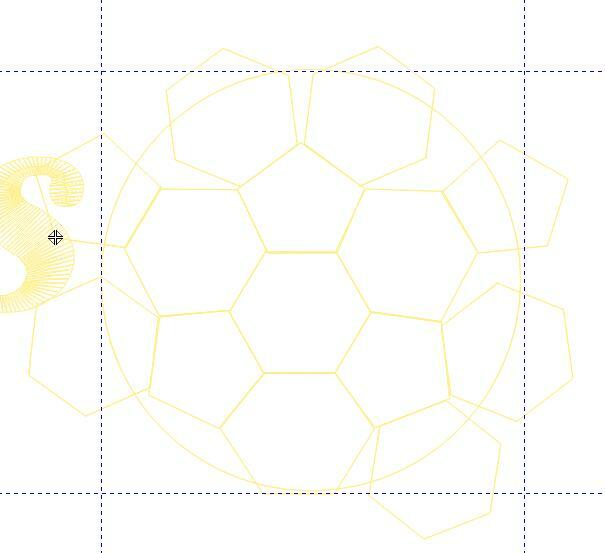 Just think of using flame or flower fabric instead of having plain black pentagons. 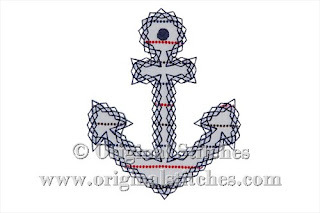 September 2012 Freebie Now Available!